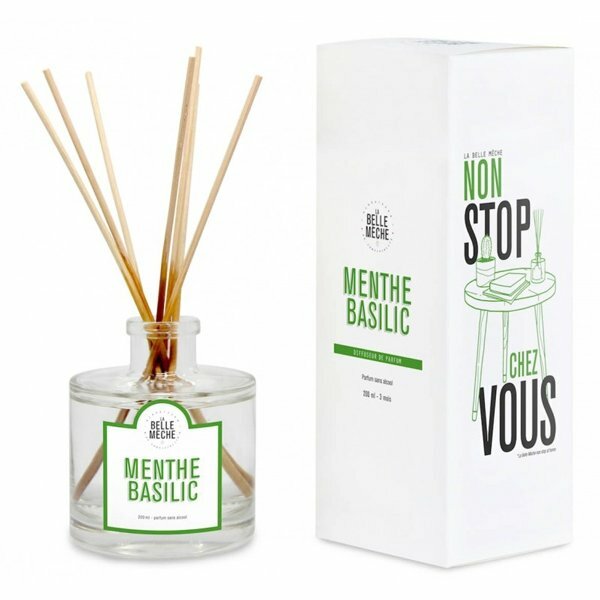 La Belle Mèche Mint Basil Diffuser captures wild cool mint on forest floor. Spicy and fresh, we like to burn it after lunch or to perfume a room after house cleaning. La Belle Meche's iconic perfume !